Welcome to an elite group of highly successful metro Milwaukee business owners - the MMAC/COSBE Future 50 Award winners. You’ve done the work and won the award but now what? Below are some simple tips to help you enjoy and promote your success. Questions? Contact Alexis Deblitz at 414/287.4130. 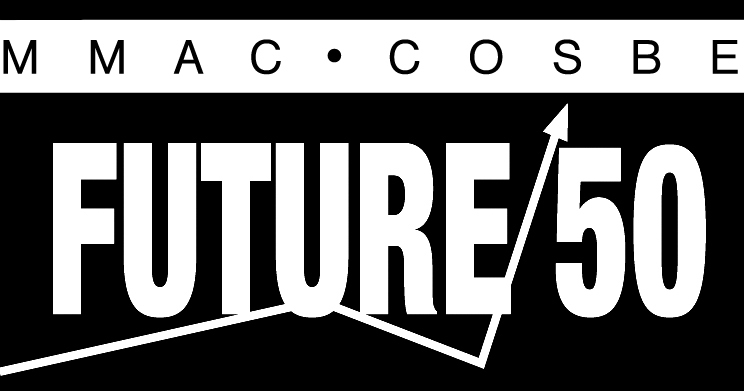 Display the Future 50 logo on your website, letterhead, business cards, etc. Click on the event title to learn more. MMAC’s Council of Small Business Executives (COSBE) invites your company’s CEO, president and/or owner(s) to a roundtable discussion on the challenges and benefits of doing business in southeastern Wisconsin. Hosted by BizTimes Media, award winners use the discount code “FUTURE2018” to receive your two complimentary passes to this evening reception. Additional guests $25. Drawing more than 600 attendees each year, this signature MMAC/COSBE event provides the opportunity for you to celebrate your award with your staff, clients and strategic partners. Each winner receives two complimentary tickets. BizTimes Milwaukee's editorial team will compile profiles for each of the 50 companies. Please visit www.biztimes.com/f50profile and complete the questionnaire to be included in this special report. Deadline: July 25. First time winners will be contacted in August to arrange a photo shoot for their profile. Repeat winners will not require a new photo. In the event of a major staff change, you may request a new photo by contacting Sue Herzog with BizTimes before July 25. Winner ad package - BizTimes Milwaukee will feature a special section highlighting the 2018 Future 50 Award Winners on September 17. 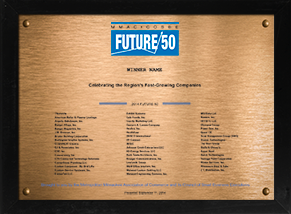 The issue will be delivered to their full circulation of 13,000+ owners and top executives of SE Wisconsin companies and also presented to the Future 50 Awards Luncheon attendees. Take advantage of the special winner ad package to promote your company and/or congratulate your staff along-side your winner profile. Use #2018Future50 in your social media posts. Don't forget to follow MMAC to see the latest posts on the Future 50 and other Metro Milwaukee news. Send a press release to your local community or trade newspaper or magazine. Tell your clients, vendors and customers about your success with a letter or email with the link to your BizTimes Milwaukee profile. After the luncheon, hang your Future 50 plaque for all to see in your lobby or lunchroom.